Leaked internal documents show that BMW is planning to launch its new 8-Series flagship coupe at a sales event during the 24 Hours of Le Mans endurance race to be held in France on June 15. The company had already launched the racing prototype based on the 8-Series at the 24 Hours of Daytona and the Le Mans debut of that car is expected to be the backdrop of the production car's launch. 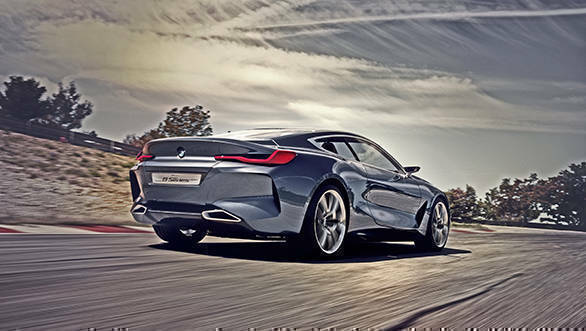 A range-topping M8 Gran Coupe concept was also shown at this year's Geneva Motor Show. When launched, the 8-Series will be the flagship sports car of the BMW line-up. 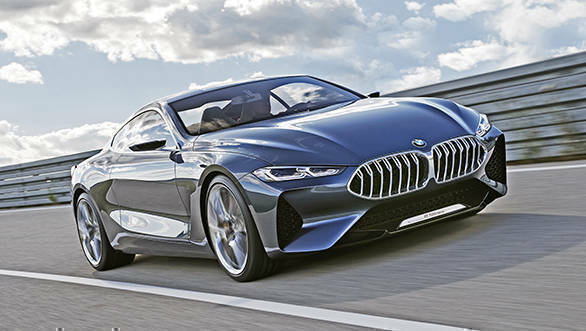 The car is expected to be powered by BMWs line up of 3.0-litre inline six-cylinder petrol and diesel engines while the range-topping M8 will be powered by the M5's 4.4-litre twin turbo V8, but probably with better outputs than the smaller car's 608PS and 750Nm. All 8-Series cars should be mated to the 8-speed ZF automatic while a rear-biased four-wheel drive system should be available on the M8. In terms of body styles, the car will come as a 2-door coupe and convertible and a 4-door coupe.